You and your family are all invited to Marina Bay Sands Singapore Easter Merriment from now till end April 2018! This festive season, you will see signature restaurants coming up with special menus, loads of fun kids activities, and sweet treats. 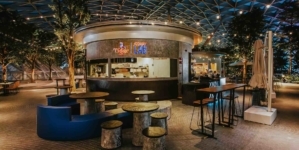 Families can enjoy special menus at Adrift by David Myers and db Bistro & Oyster Bar as children delight in fun-filled activities at Bread Street Kitchen and RISE, before heading to SweetSpot for some whimsical treats. Classic American restaurant The Bird Southern Table & Bar will also be offering an unprecedented “All-You-Can-Eat” fried chicken special on 1 April 2018. 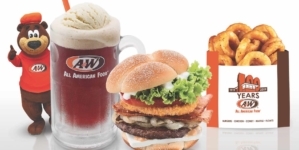 Here’s a summary of what your whole family can look forward to! This Easter (1 April), seafood takes centre stage at Adrift by David Myers as the award-winning restaurant presents a special Sunday brunch menu (S$88++) featuring a cold seafood buffet with a choice of a hot main dish from the a la carte menu. The highlights include King crab omelette with Japanese curry and Barley miso spring chicken with burnt citrus. You can choose to enhance your brunch experience with a free flow beverage package (S$70++) to enjoy unlimited glasses of selected wines, champagnes and spirits, from 12pm to 3pm! Bread Street Kitchen by Gordon Ramsay will be organising a series of fun-filled Easter activities, including a Kids Fun Corner over the Easter weekend (31 March -1 April) where your kids get to decorate cookies and Easter Eggs. Families and friends can also have fun at a special themed photo booth decked with interesting props to capture these moments. From 30 March to 1 April, the restaurant will also be offering a special three-course Easter menu (S$59++), featuring a hearty main of Whole roasted lamb rack with mashed potato, peas, baby carrots and mustard jus. For reservations, please email [email protected] or call +65 6688 5665. Celebrity chef restaurant db Bistro & Oyster Bar celebrates Easter with a special three-course Spring menu (S$120++). Available throughout April, you can savour the season’s freshest catch in mains such as Seared Diver Scallops with smoked bacon, quail eggs and English pea mousseline, premium Brittany Turbot with artichoke barigoule and basil pesto, and tantalizing Herb-Crusted Colorado Rack of Lamb with spring bean Cassoulet. Round up the meal on a fruity note with a slice of tangy Strawberry & Rhubarb Coupe with yoghurt sorbet or indulge in a Dark Chocolate & Guinness Tart with Bailey’s Ice Cream. 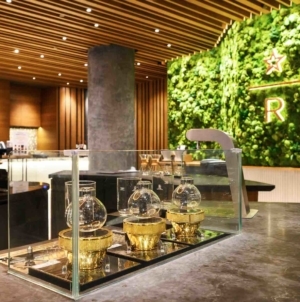 On 1 April, delight in a delectable brunch at RISE (Adults: S$128++; Adults with beverage package: S$168++; Children: S$48++), as the international buffet restaurant tops up its buffet spread with an array of hearty specials. You and your loved ones can taste classic European dishes such as Beef Wellington and Slow-cooked Spanish Iberico Pork Shoulder at the live carving station, or indulge in a gratifying bowl of Buta Don, featuring well-seasoned pork slices atop a warm bowl of Japanese pearl rice, alongside a runny Onsen egg. The meal completes with RISE’s signature dessert offerings, including the classic Easter Hot Cross Bun – a tribute to tradition. 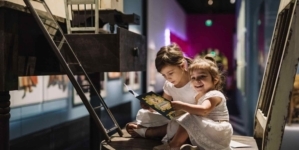 Children will also enjoy an exciting afternoon at RISE with a series of kids-friendly activities. 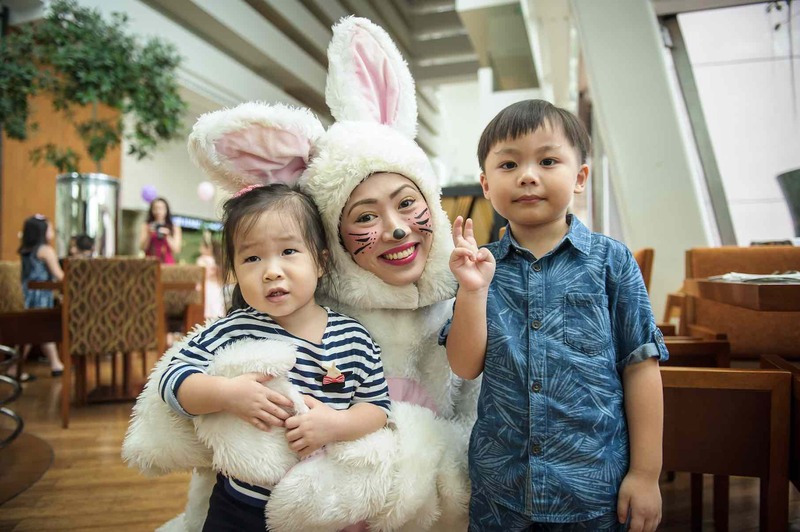 Apart from a special Kid’s Corner where they can indulge in treats such as Mac & Cheese and Churros, children can also participate in an Easter egg hunt at RISE’s edible herb garden, and decorate Easter eggs and muffins to take home. For reservations, please email [email protected] or call +65 6688 5525. Fried chicken lovers will rejoice this Easter, as classic American restaurant The Bird Southern Table and Bar offers, for the first time, an “All-You-Can-Eat” fried chicken special. Available only on 1 April from 11am to 4pm, you are invited to indulge in the restaurant’s signature 100-year old recipe Lewellyn’s Fine Fried Chicken, and eat to their heart’s content for S$28++ per person. 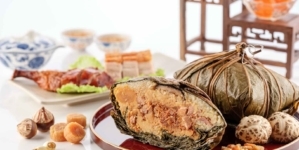 The 100-year-old recipe features chicken brined in secret spices for 27 hours before it is fried, to produce juicy chunks of flavourful meat enveloped in a layer of golden crisp skin. For reservations, please email [email protected] or call +65 6688 9959. Celebrate Easter Day with creative delights from SweetSpot, available from 12 March to 1 April. 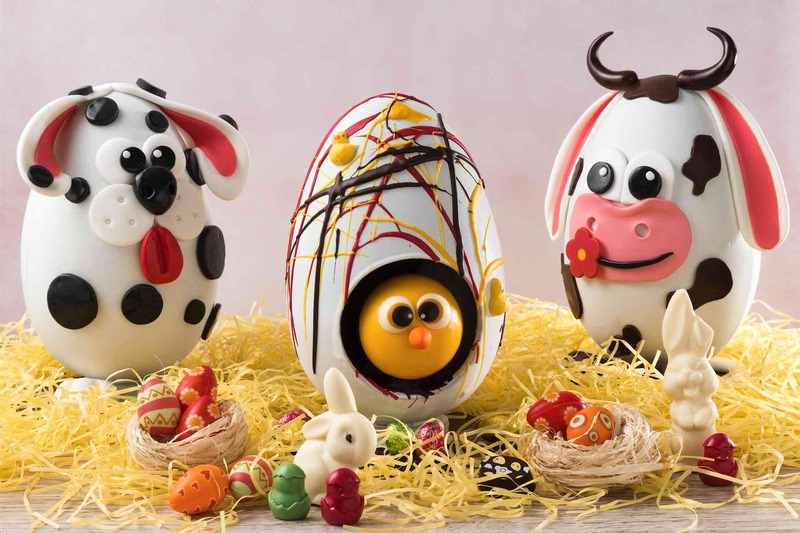 Satisfy your sweet tooth with Chocolate Easter Eggs (S$50 each), decked in eight fun and captivating designs featuring Easter bunnies, chicks, and other Easter-inspired cartoon characters. Share the joy of Easter Day with other seasonal highlights such as the Bunny Cream Cheese Carrot Cake (available at 500g at S$54, 1kg at S$64 and S$9 for a single portion), a homemade carrot pecan cake topped with rich cream cheese frosting. For reservations, please email [email protected] or call +65 6688 8588. On 21 March, one-Michelin starred CUT by Wolfgang Puck will present an elevated dining experience with an exclusive five-course Chateau Musar wine dinner menu (S$350++). You can savour the restaurant’s signature highlights such as Bone Marrow Flan with Mushroom Marmalade and Parsley Salad and American Wagyu, Snake River Farms 120g, with Pea Purée, Asparagus, Fava Beans, Morel Mushrooms, Sun Choke Chips and Sauce Bordelaise ̧ alongside unique Lebanese wines from the Chateau Musar winery. Steeped in tradition, these natural wines are cultivated from grapes carefully hand-picked by local Bedouins at organically-certified vineyards in Bekaa Valley, nestled in snow-covered mountains 1,000m above sea level. For reservations, please email [email protected] or call +65 6688 8517. From 27 March, celebrity chef restaurant Spago by Wolfgang Puck will be collaborating with Californian wine estate Bryant Family Vineyard to bring you and your family an unparalleled wine dinner experience. 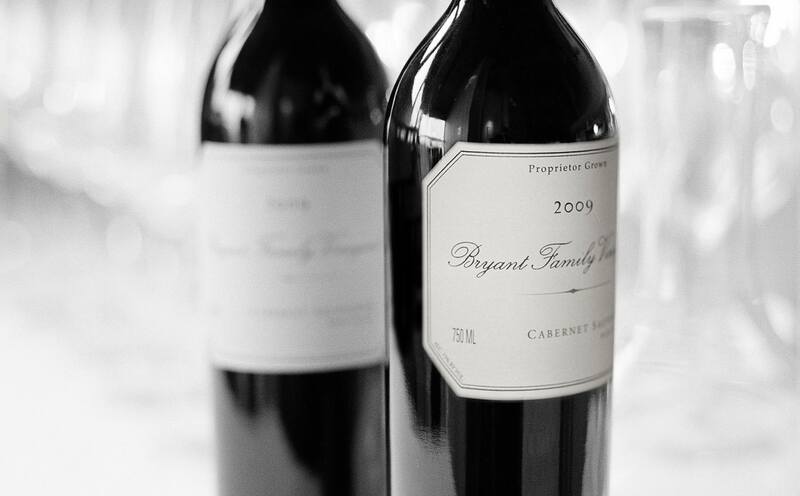 The one-night-only dinner features an exquisite five-course menu (S$295++ per person) paired with prized wines from the Bryant Family Vineyard. 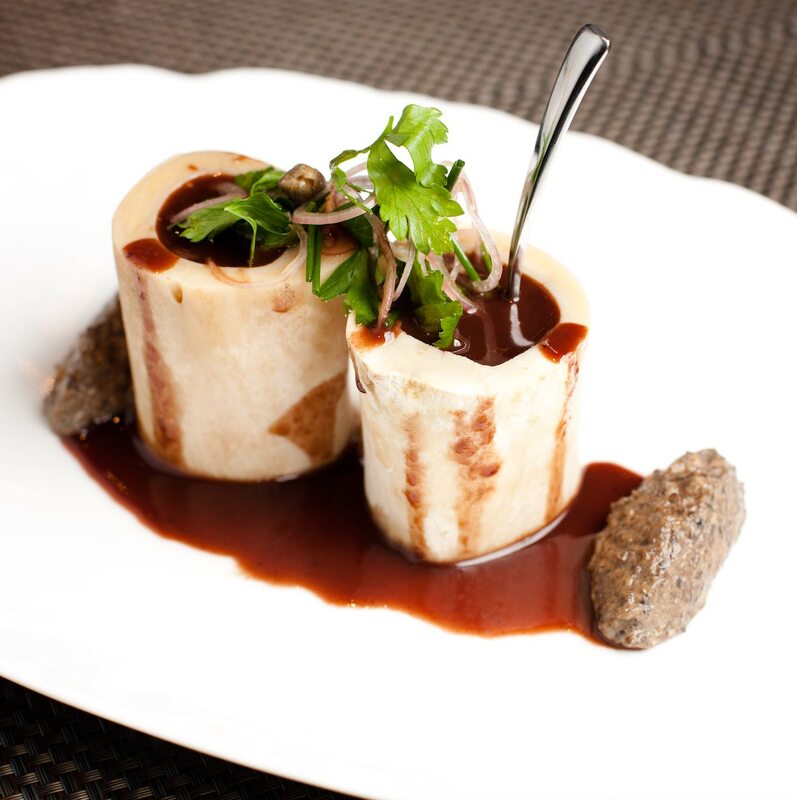 A highlight on the menu is the 75-day Whisky Dry-Aged Beef, accompanied with celery root puree, potato-bacon terrine and sauce Bordelaise. The infused oak and vanilla fragrance of the dry-aged steak is enhanced with the pairing of a glass of Bryant Family Vineyard 2012. 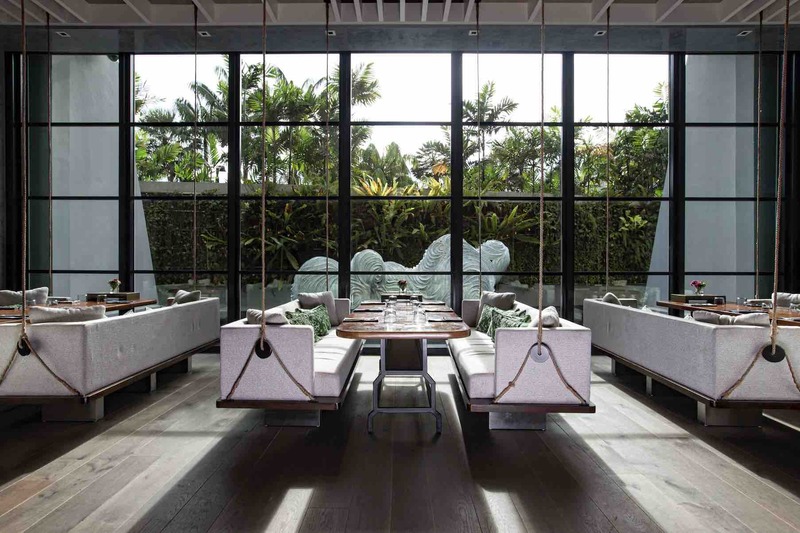 In addition, starting March, Spago by Wolfgang Puck will be serving limited portions of the 75- day Whisky Dry-Aged Beef on its a la carte menu on weekends. Only 10 portions are available each day. For reservations, please email [email protected] or call +65 6688 9955.